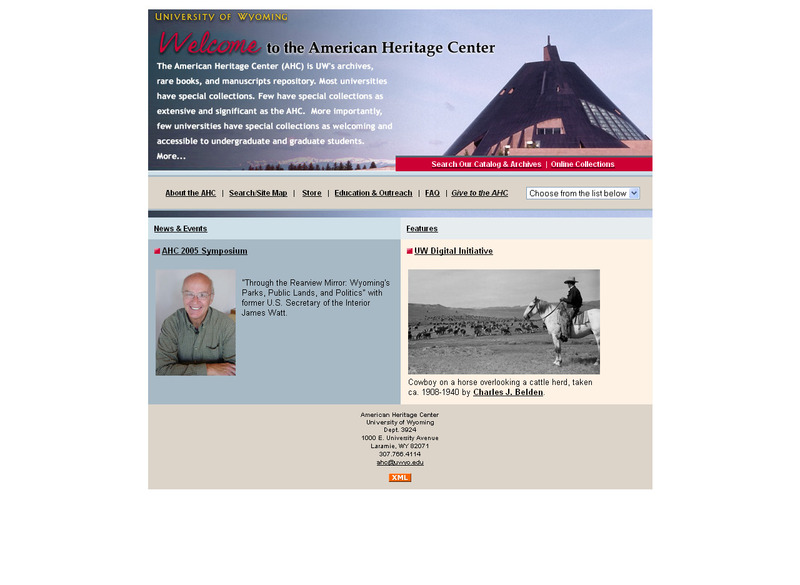 ← Your history–pass it on with Preservation Week! 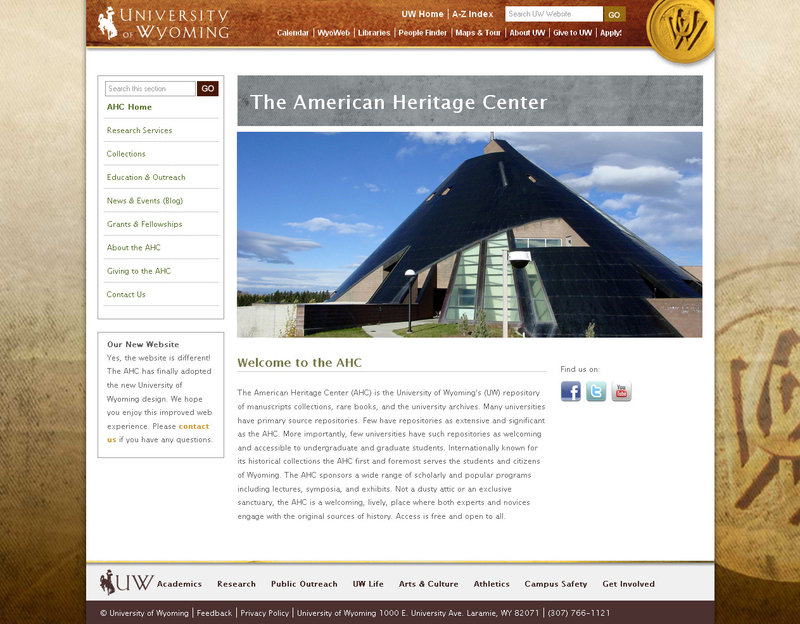 The University of Wyoming has been greatly advancing the University’s web presence in recent years, and this month the AHC finally caught up by converting its website to the established look-and-feel of the university’s website and brand standards. Though the AHC site may look different, the content is largely the same, and some of it is even improved. We are particularly pleased to provide some more detail on the extent and nature of the AHC’s unique collections via a brand new Collections By Subject Area page, which lists the AHC’s main areas of collecting, and provides some highlights from each of these areas. Some areas of the new website — such as Virtual Exhibits — are a work in progress and will continue to grow over the coming months as we get comfortable with our new website technology. Collection Inventories – detailed collection inventories (often called finding aids) can be searched on a regional archives website. Just choose “University of Wyoming” for the “Institution” field. Facebook – The AHC Facebook page is an easy way to connect with us and follow what we are up to. And, of course, this blog! 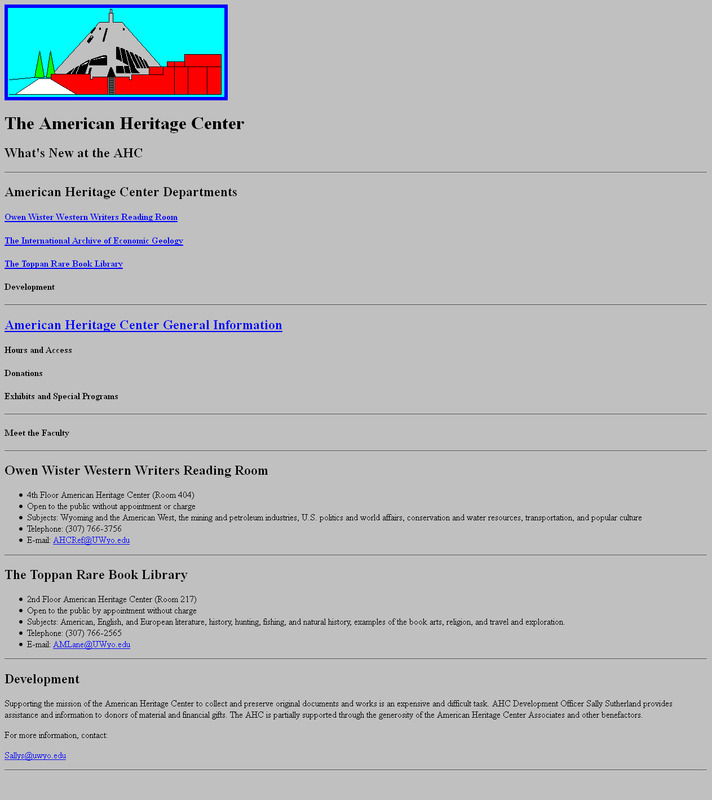 The AHC was an early adopter of website communications (at least as far as archives go), with its first website being launched in 1996. 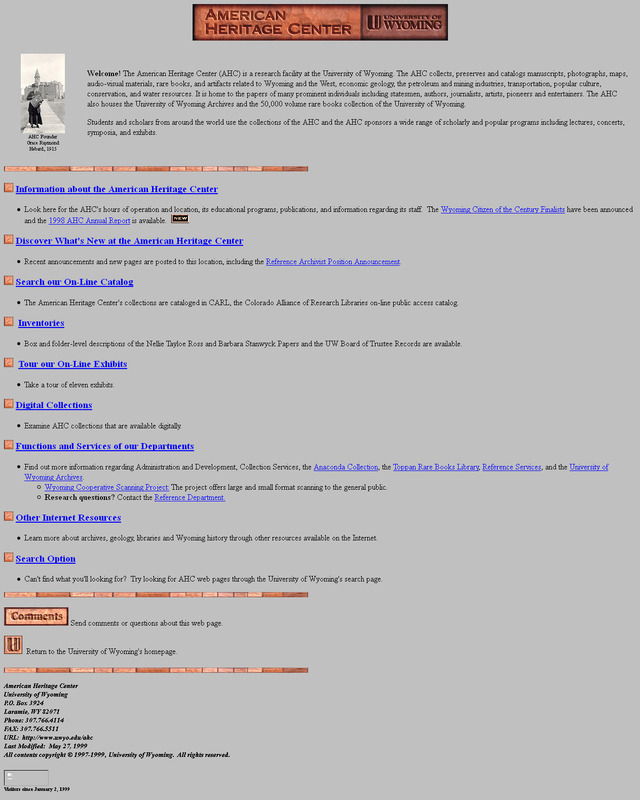 That website consisted of one page–the homepage. The site has evolved over the years, with the most recent incarnation of the website lasting almost a decade, meaning we were long overdue for a facelift.